Just when you thought it was safe to be Cabal. Well, it was bound to happen. Destiny 2 was released on PC this week, so naturally, the Co-Opticrew couldn't resist the chance to dive back in for a little keyboard'n'mouse loot shooting. Autobanning issues aside, the game seems to be pretty fantastic on the home computer. It won't have that sweet, sweet Playstation-exclusive content (at least for a while), but maybe it's worth it if you're allergic to auto-aim. 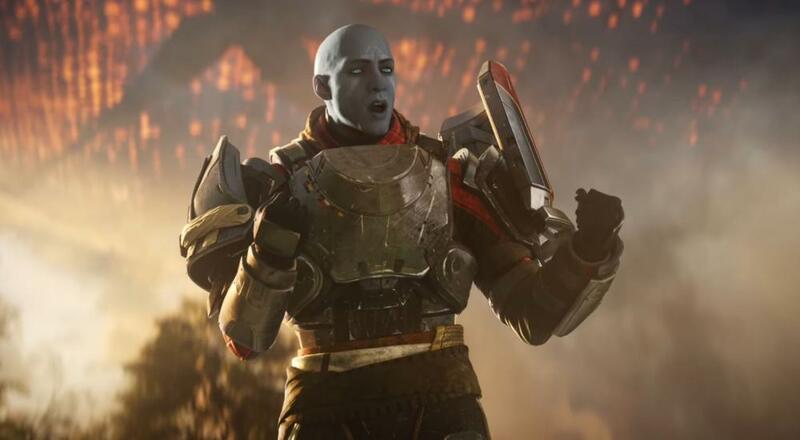 Everyone who's already had their fill of Zavala and Co. will playing CRPGs with skeletons, shooters with finger guns, and games with a cardboard element. Check it out! Nick Puleo (@NickPuleo) - "Building a new PC this weekend. Gonna put Destiny 2 in 4k to test." Mike Katsufrakis (@Pheriannath) - "I hit max level in Destiny 2 PC, so I guess I’ll start that power level grind again!" Marc Allie (@DjinniMan) - "MARIOOOOOOOOOOO"
Locke Vincent (@LockeVincent) - "Divinity 2, Destiny 2, Cuphead. Things are so damn good right now." Tally Callahan - "Hopefully more Divinity: Original Sin 2. Then a board game or two while I watch the news coming out of Essen Spiel.'" Sam Tyler (@thereelsamtyler) - "I've been playing The Turin Test and Mafia 3, but will also crack on with some Mass Effect Andromeda." Enoch Starnes (@enochstarnes) - "I plan on mashing my own head against Cuphead until I'm sufficiently pissed off." Matthew Squaire (@mattaghetti) - "Work, weddings, Watchmen and probably Shadow of War." It just wouldn't be a weekend in gaming article if I didn't ask you, the reader, what your plans are. So, tell us in the comments, why don't ya? Page created in 0.8639 seconds.